Magpie Ulysses is a “dynamic performance poet and storyteller known for charming and slaying her audiences with intense stage presence and thoughtful insight about humanity.” Writer, Rabble Rouser, fancy talker; Magpie began performing at the age of 17 to save her life. Since then she has performed across North America and is a veteran of the national poetry slam community In Canada where she was a member of two national champion Vancouver poetry slam teams. She was named a Poet of Honour at the Canadian festival Of Spoken Word In the Fall of 2012. Having lived across Canada in communities large and small for the better part of the past 20 years, Magpie continuously finds herself asking questions of home and what it is to be human as part of the environment she dwells in. 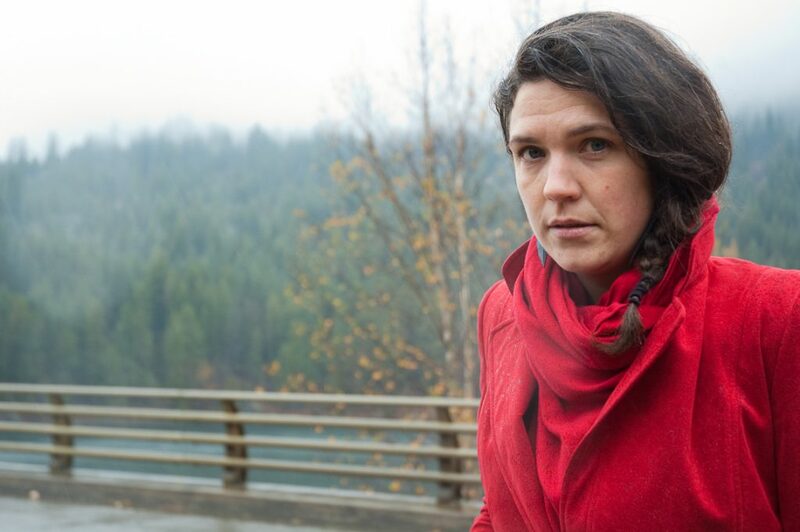 An activist at heart, Magpie is known for her visceral, often surrealist writings about addictions, environmental issues and working class struggle. She recently completed a collection of prose poems telling the stories of strangers and self from her experiences of hitchhiking over 25,000km across North America in her late teens and early twenties. Magpie has spent much of the past seven years heavily involved in the arts while living in and around rural BC. Having spent the past few years raising a new human and past many years caring for her grandmother through alzheimer’s disease, she has become increasingly interested in questions surrounding memory, place, body, grief, aging and how we choose to tell our own stories. “…confessional poems that hit hard and take the reader through intense visceral terrain, but never wallow” (Robert Priest, NOW magazine).